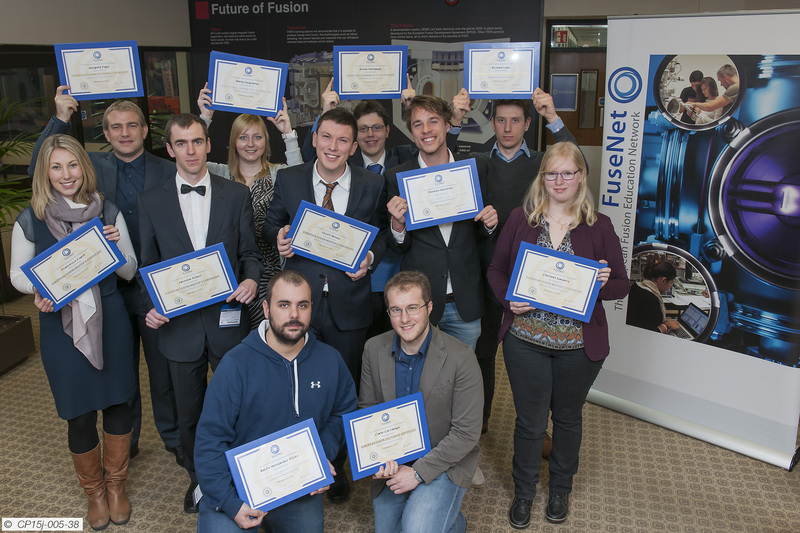 On February 3, 2015, thirteen students from 9 different countries in Europe came together to receive their European Fusion Master’s and Doctorate Certificates. 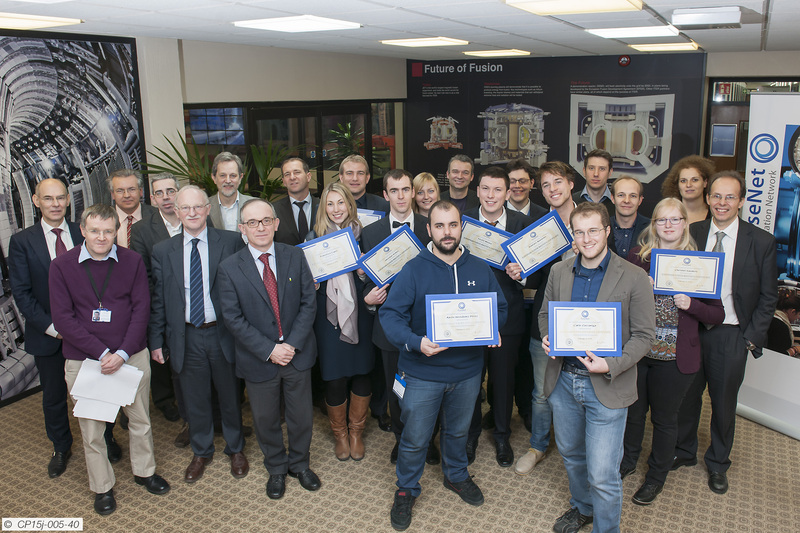 The certificates were handed over in a festive award ceremony at JET, at the Culham Centre for Fusion Energy in the United Kingdom. On the photos above you can see the selective group of students showing off the certificates that were awarded to them minutes earlier. Several FuseNet members and representatives of the Board were also present, as can be seen on the second photo. The European Fusion Master’s and Doctorate Certificates act as a stamp for high quality education in Europe in the field of Nuclear Fusion R&D. It stands for education that is inter-disciplinary, goal oriented, and has profound scientific rigor and excellence in specific areas. New applications can be made at http://www.fusenet.eu/certificates. The photos are subject to copyright of the owner. Do not re-use or re-distribute without permission.